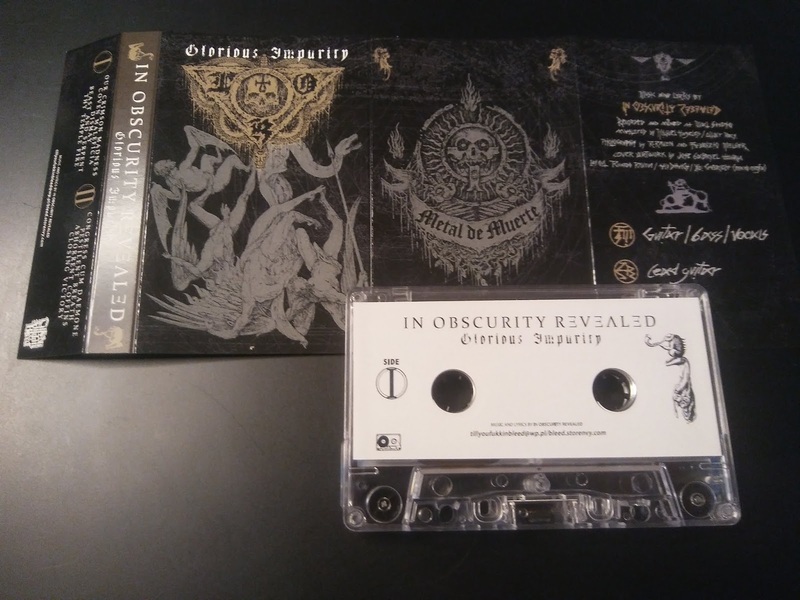 Debut album from Mexico's IN OBSCURITY REVEALED "Gloloius Impurity" will be out as cassette version on November 16 2018. 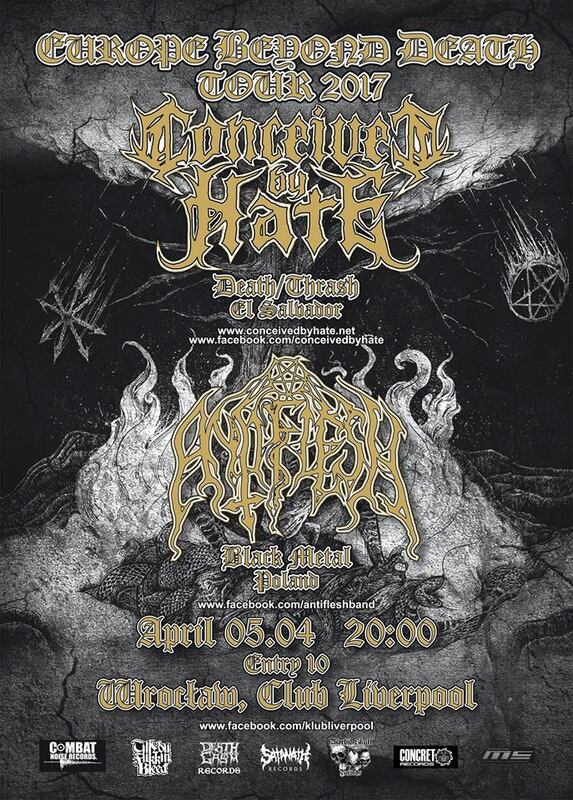 Curse Eternal "Antichristian Ceremonial Madness"
* Public Assassin (USA) "Fall of the Holy - live 2015"
* Horrifying (Chi) "Altered States Fermenation"
On April 1st we are going to celebrate best joke made to mankind 2000 years ago. 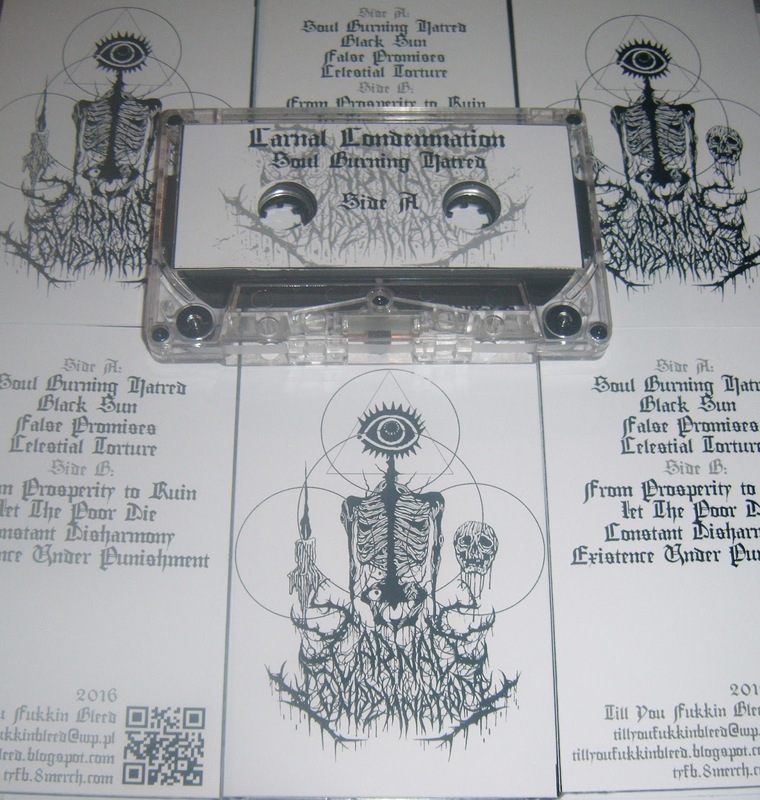 Will do this by engraving insane Death Metal masterpiece to tape release. Cassette version of Austrailan Golgothan Remains "Perverse Offerings To The Void" - limited edition of 60 copies. 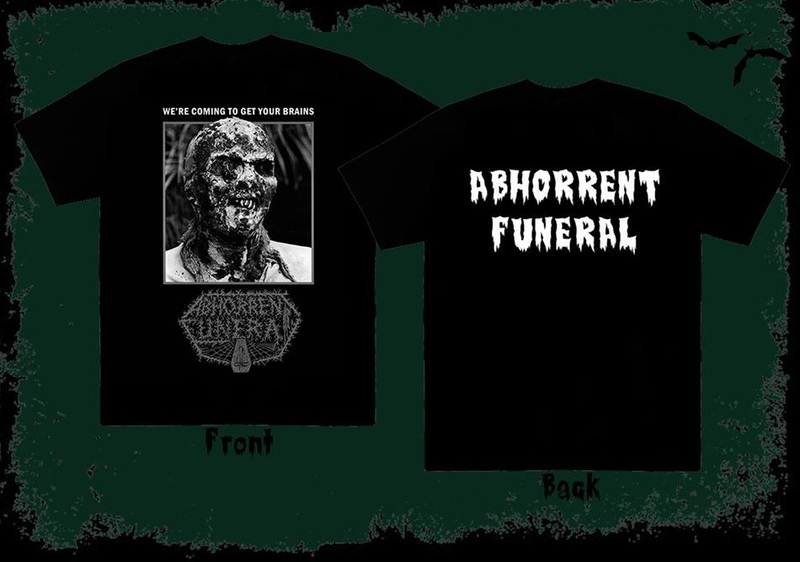 Preorder link will follow shortly. Or thou can refrain and hopelessly look forward for coming of your redeemer. 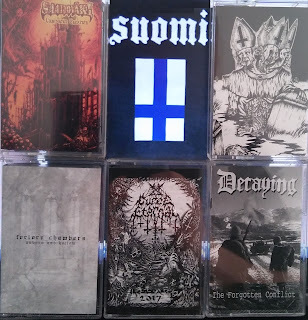 To commemorate Dec 6 1917 anniversary, for next week we have special 2.99USD price for releases from Finland's bands we were happy to work with. 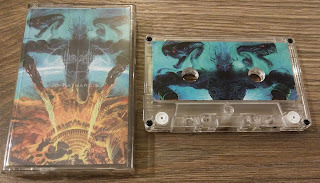 So if you missed any tape from Saattoväki, Forlorn Chambers, Decaying, Curse Eternal this is your chance to redeem this shame. Kippis! Keep your Friday 13th holy! 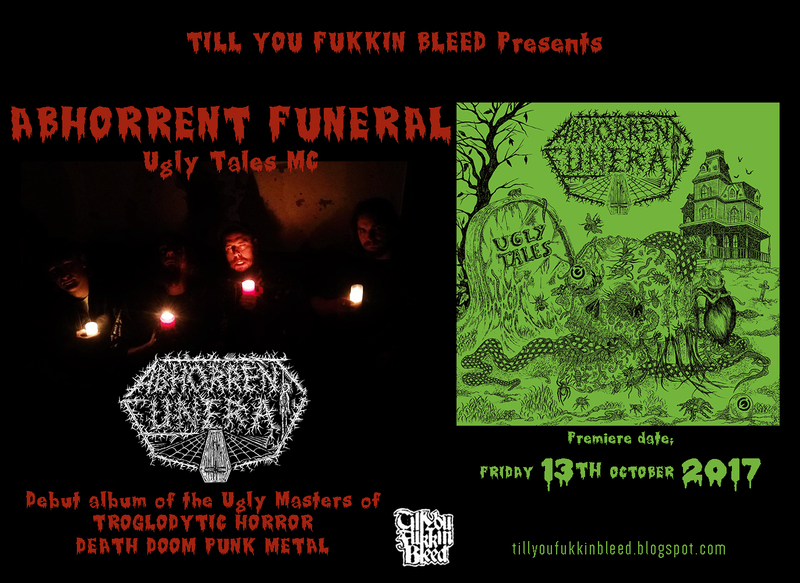 Abhorrent Funeral "Ugly Tales" cassette is out today, thus you can keep Friday 13th holy. We invite you to over 30 minutes death/doom/punk metal bulldozer journey throught dungeons of true horror and macabre! 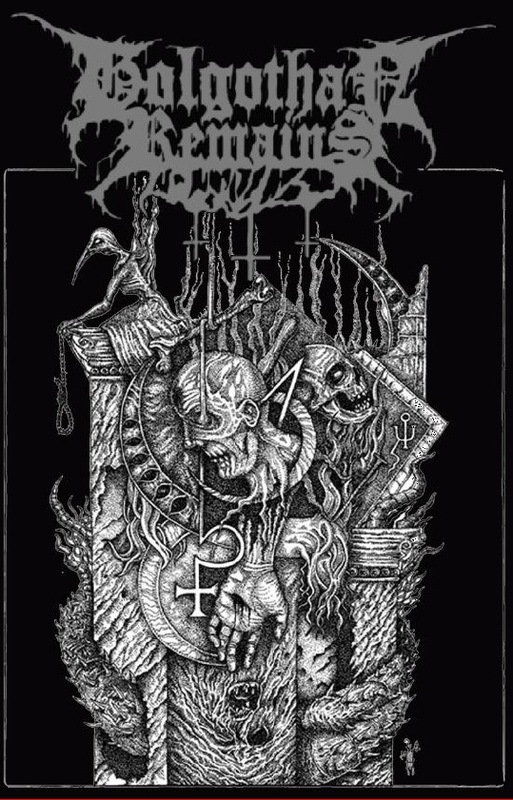 First 50 copies goes with artwork a3 size poster! You now have 13 days of ease left. Then you can die in what way seems best to you. 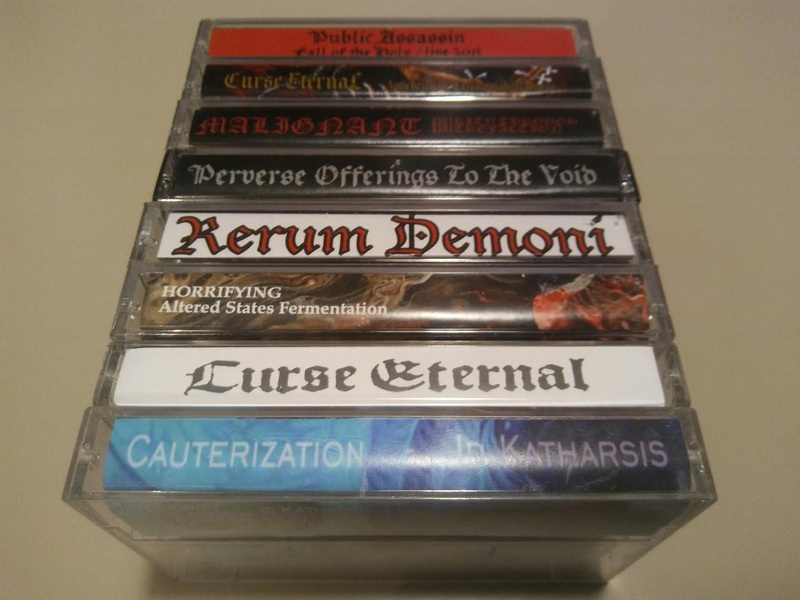 As soon as summer rots and death pale Autumn shall conquer it's realm, two new TYFB releases will spoil the face of the earth. This earth. 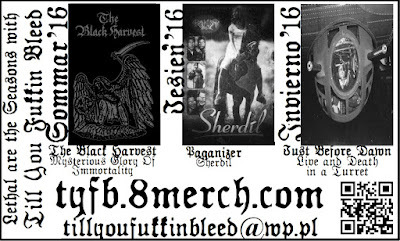 This is the new name at Poland's Death/Black scene, still people behind Kira are not newcomers at all. And this will be heard. 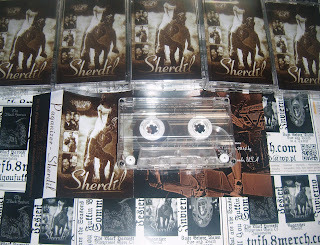 Cassette version of debut album out on September 15. 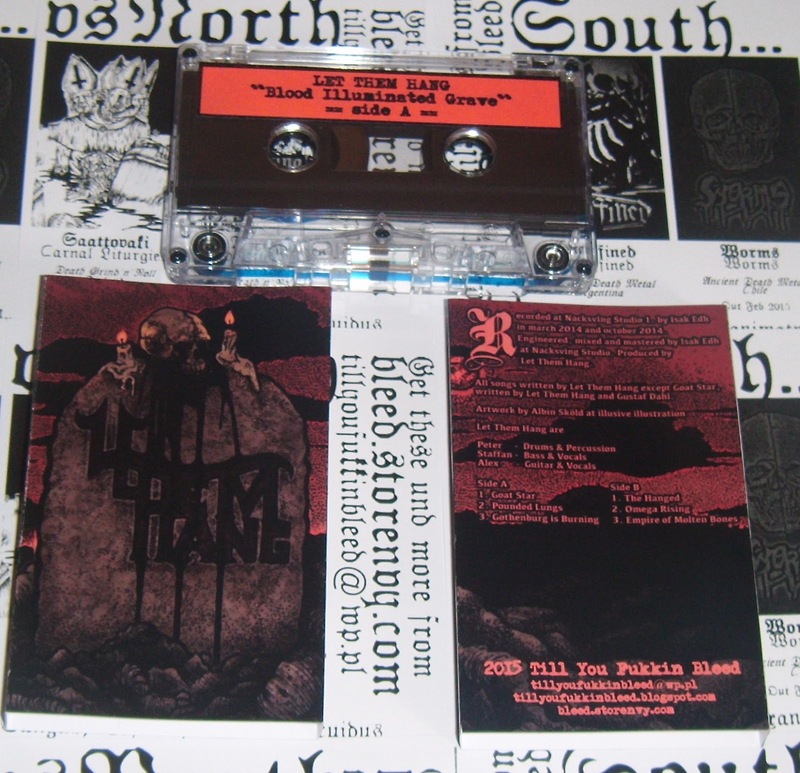 This is rerelease of debut demo from this South America moster, added three cover songs as bonus. Expect truly abyssal tunes. 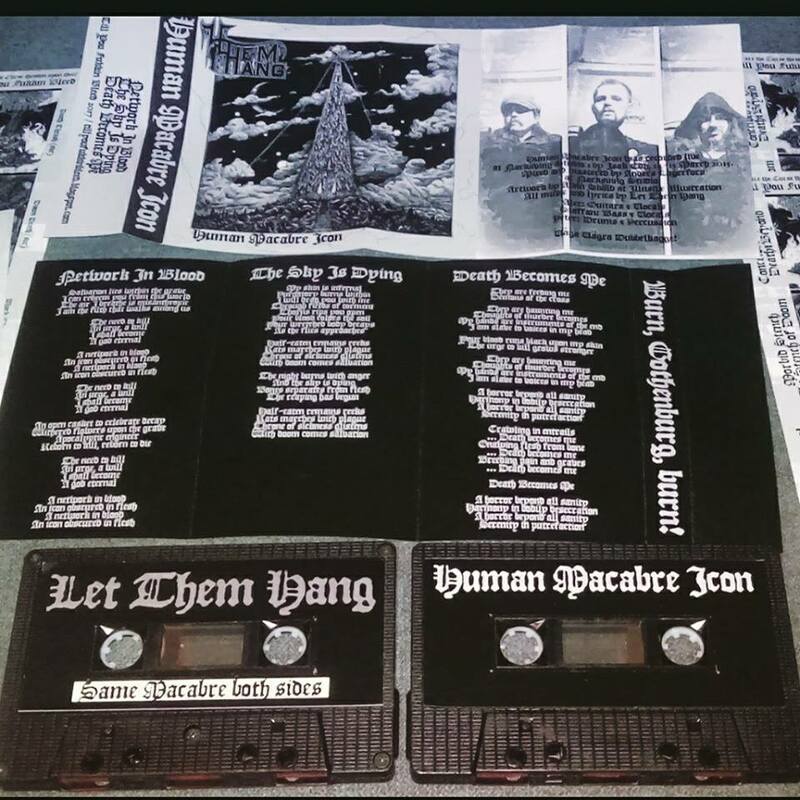 Third ep from Let Them Hang based Death'n'Rollers now as cassette release. 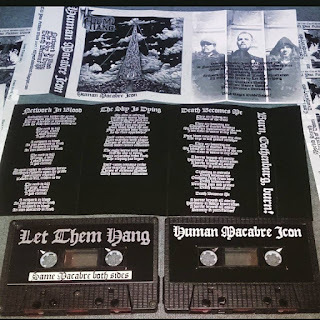 "Human Macabre Icon" gets you 3 tunes and 10 minutes of vibe you might cherish from later Entombed efforts, but more downtuned and with deeper pulse. 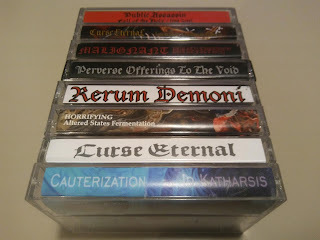 Get your soul Cursed Eternally! Curse Eternal "Demo 2017" tape cassette is available. Death/Thrash/Black from Finland worshipping Ancient Gods: Treblinka/Tiamat/Nifelheim/Venom/Bathory. 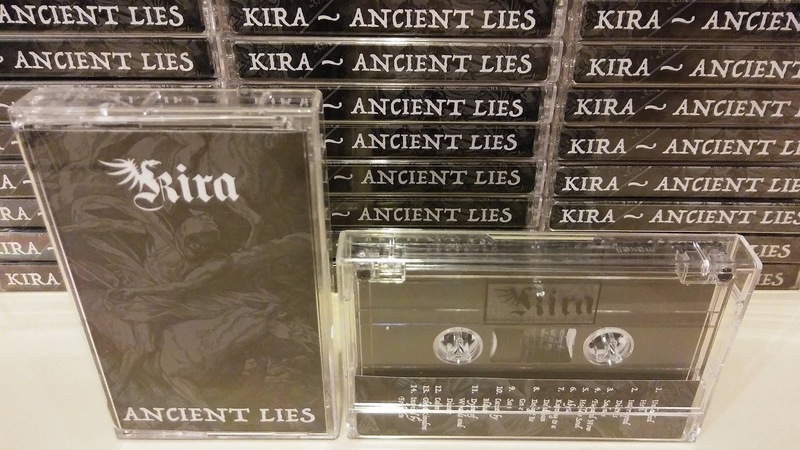 4 songs, debut demo, tape cassette release. and have your soul cursed forevermore. In conception, you were warned! 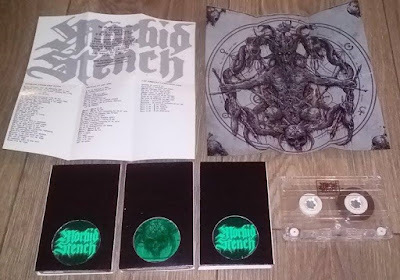 Debut demo from El Salvador Morbid Stench. 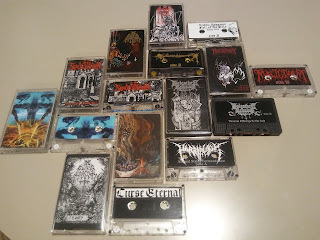 3 tunes of Death/Doom. 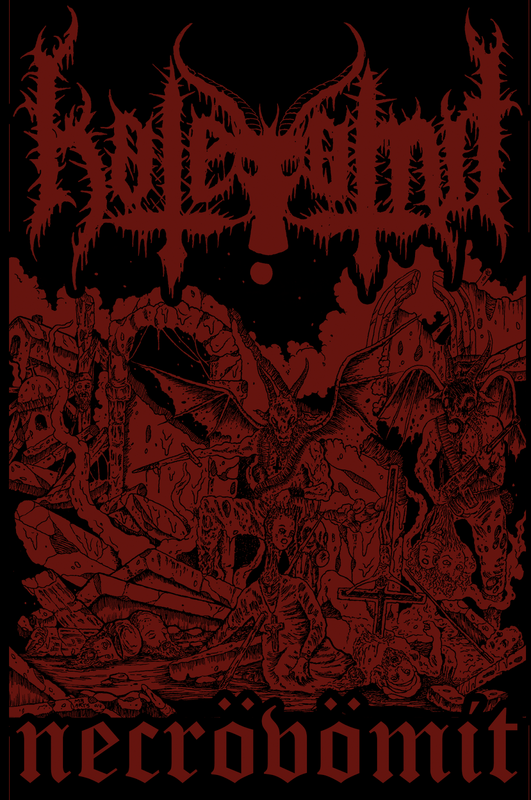 Europe Till You Fukkin Bleed edition Comes as sleeve with big size artwork/lirycs sheet. Limited to 75 copies. 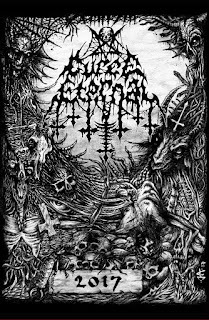 Curse Eternal tape will be out via Till You Fukkin Bleed! El Salvador hateful twin assault! 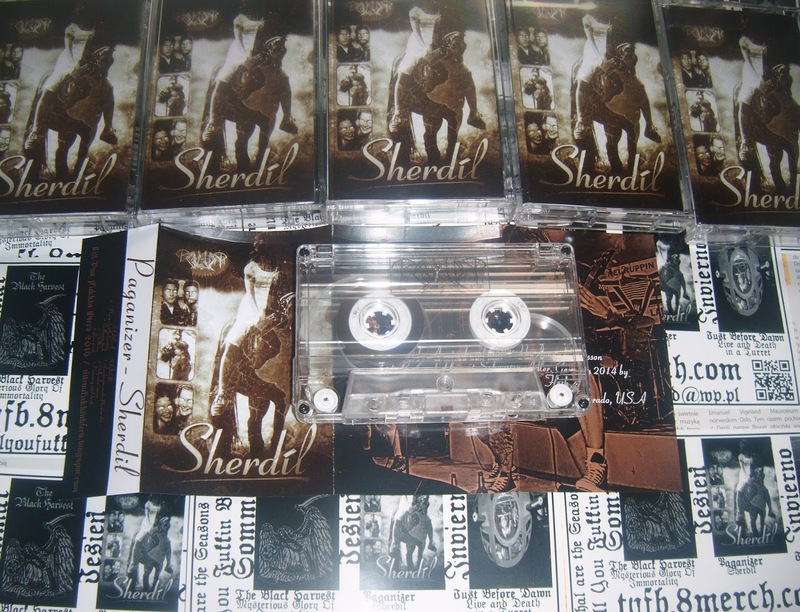 Paganizer "Sherdil" tape ready to go! 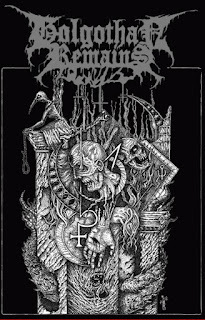 We here at Till You Fukkin Bleed are pleased to decelebrate this years "All Hallows’ Eve" by unleashing new tape ep from some savage Swedes. Thus, prepare to get Paganized on Oct 31. 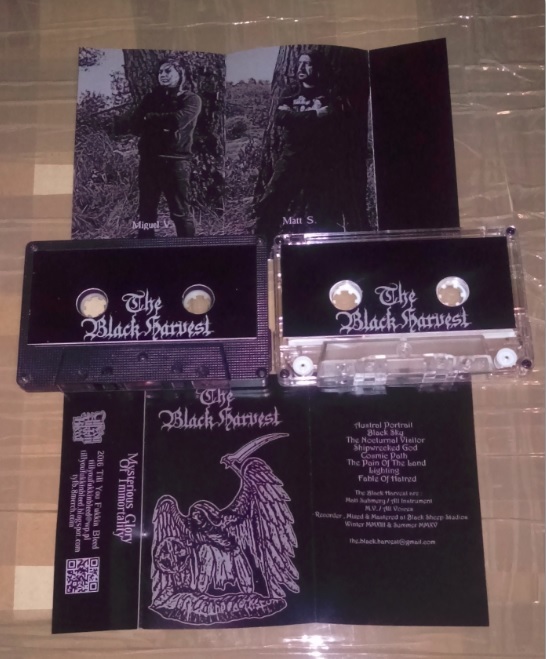 The Black Harvest "Mysterious Glory of Immortality" tape is now spreading the Pain over the Land. 8 tunes of Death/Doom Metal, perfect if yearning for some utterly joyless sound halfway between "Lost Paradise" and "As the Flowers Wither" with "Ames the Marbre" scent here and there. 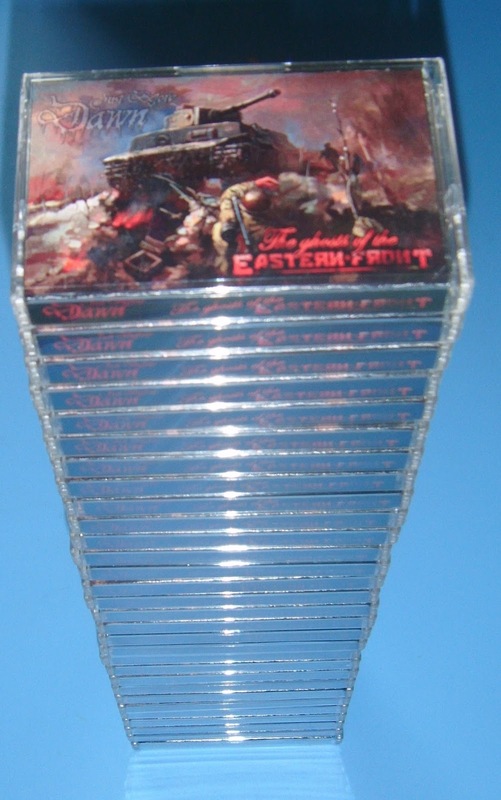 Just Before Dawn "The ghosts of the Eastern Front"
We here at Till You Fukkin Bleed are honored to put out tape version of second observation by UK's Horrified. This is significant step forward, or to the side maybe, comparing to their 2014 debut. 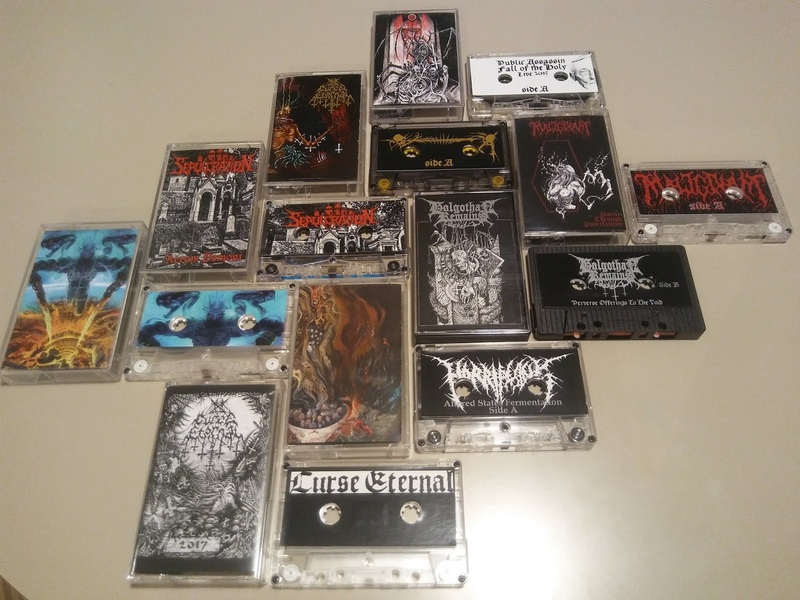 Expect tunes somewhere from between Dismember/Edge of Sanity on one end and Dissection/Necrophobic on the other, flavoured with amazing solos and Iron Maiden like harmonies. Really advanced and mature effort. This is scheduled for April 22 2016. 70 hand numbered copies. 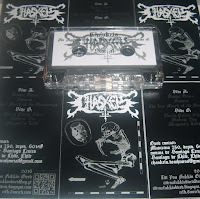 Carnal Condemnation and Chaskels tapes are here and both spread foul scent of grave. 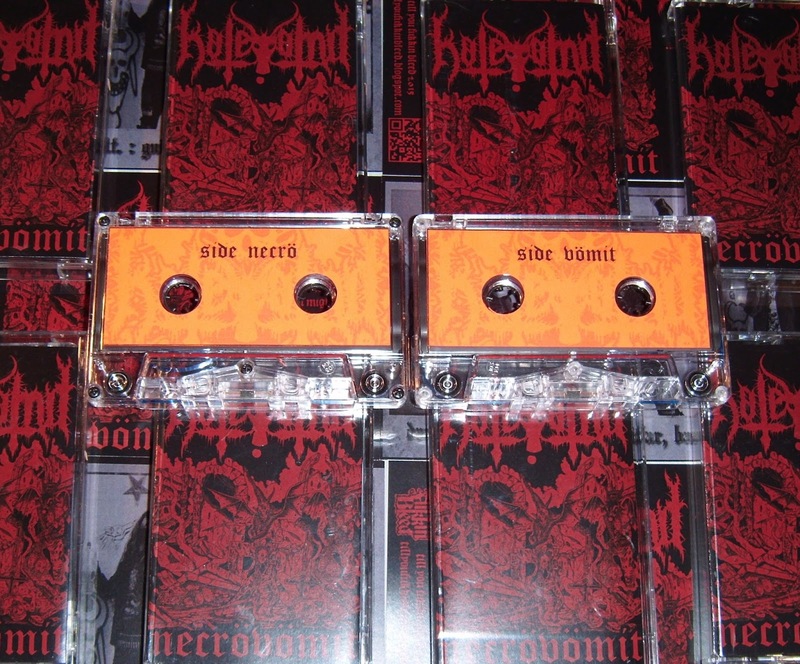 Get these, bring a piece of it to your home and share it to your neighbours. 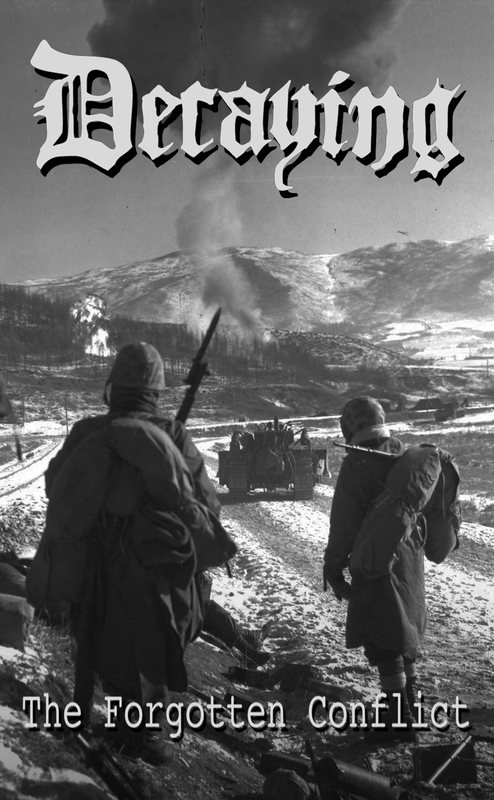 Two new releases are currently in the process of printing and shall be available on March 13. Brasil's Carnal Condemnation ep brings 30 minutes of swampy Death Metal. Old, putrid and ancient Death Metal from below the ground. 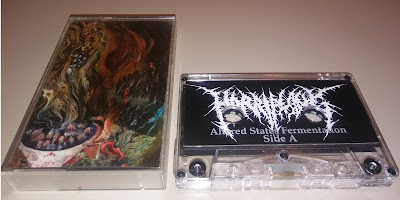 Debut demo from these Chile's exhaust. 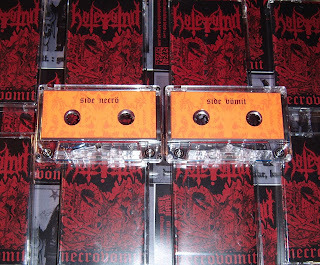 Christmass gonna be merry as fukk this year, since cassette version of Hatevomit "Necrövömit" is scheduled for Dismember 24 2015. Thus - get prepared for 6 punches of fury Death/Black Metal from Turkey to accompany your eve feast. The shipping will start on December 27. Just Before Dawn - The Dead and Those About to Die! 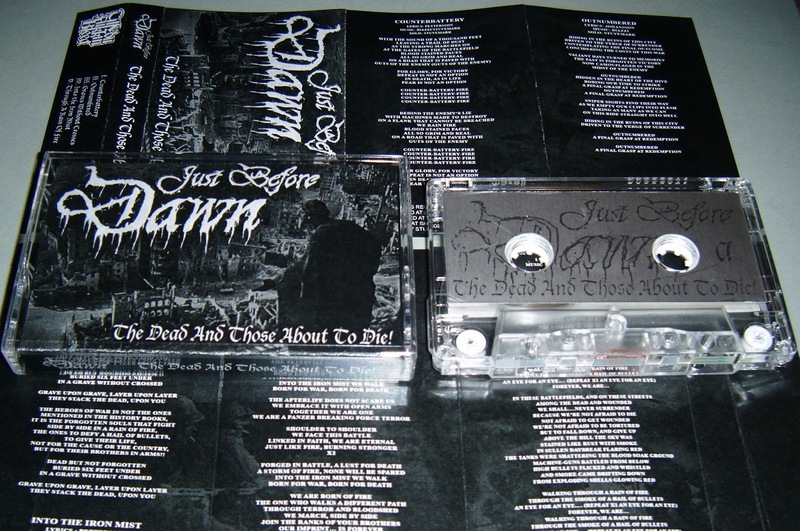 Just Before Dawn - The Dead and Those About to Die! 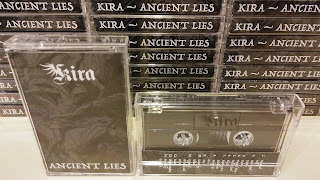 is out finally. Because of heavy disorder we encounter with out web store, you'd need to mail me at tillyoufukkinbleed@wp.pl or send FB message for order details. 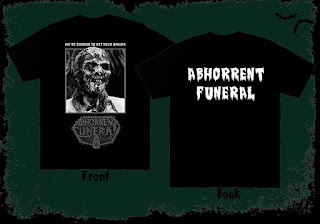 The price for this gem is USD 7,25 (incuded postage to your dying area worldwide). 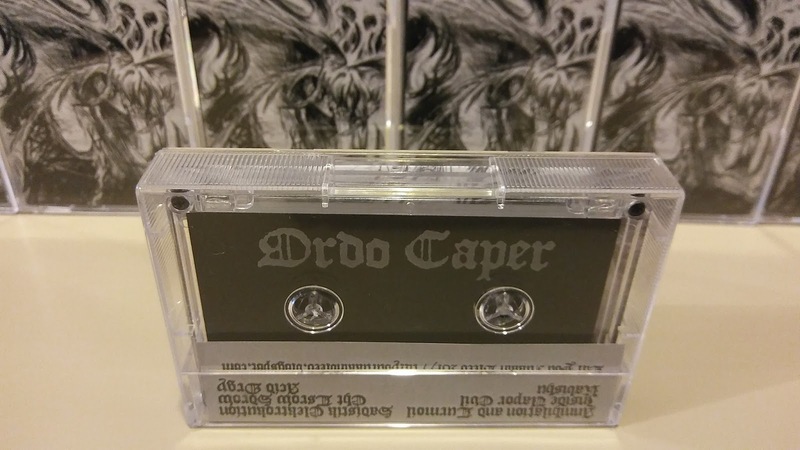 Three early tracks re-recorded solely for the purpose of this release. 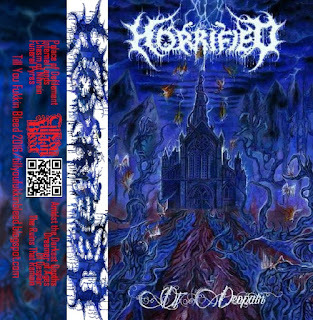 27 minutes of ultra heavy Death Metal in vein of Asphyx and Bolt Thrower. 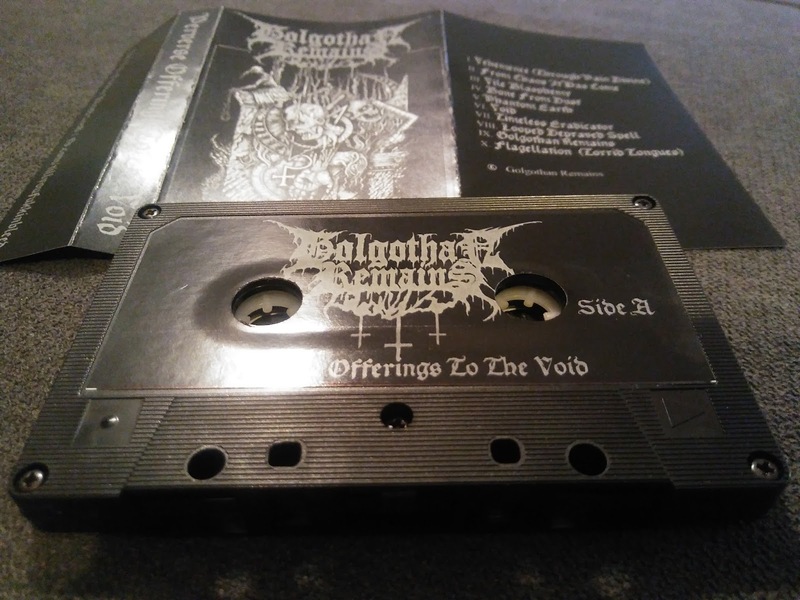 Tape limited to 99 copies. 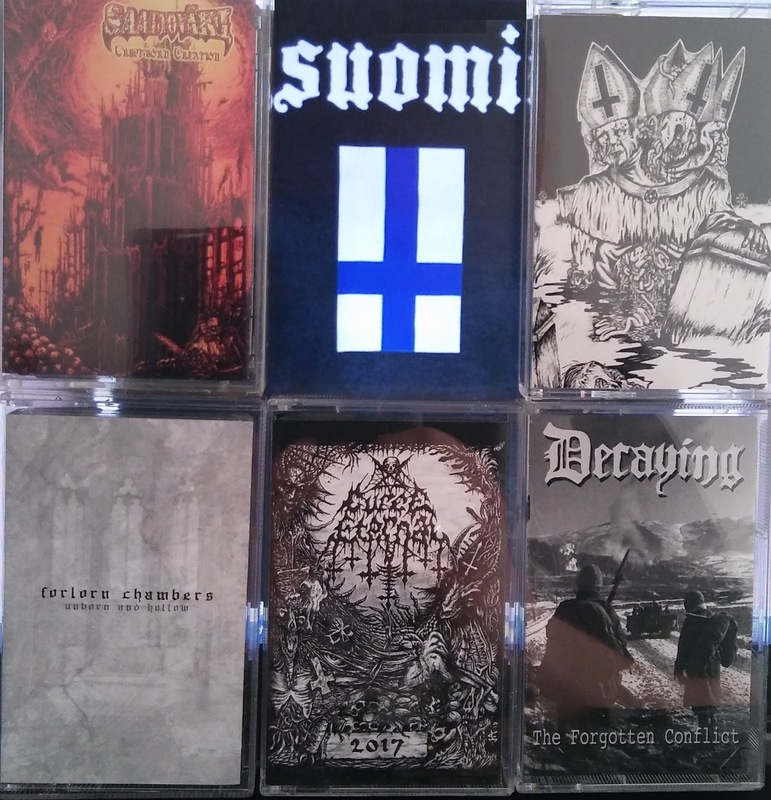 Finland's Decaying exumed three of their early war anthems, and re-recorded them so that they finally sound as they should. 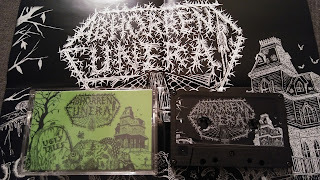 Tape editon of Newcastle's Live Burial demo. 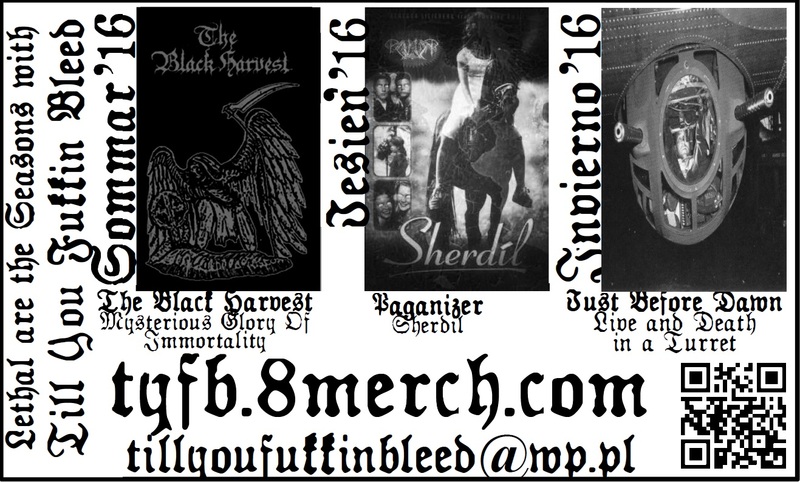 Brings you all you might miss from Obituary, Asphyx, Bolt Thrower, Autopsy. 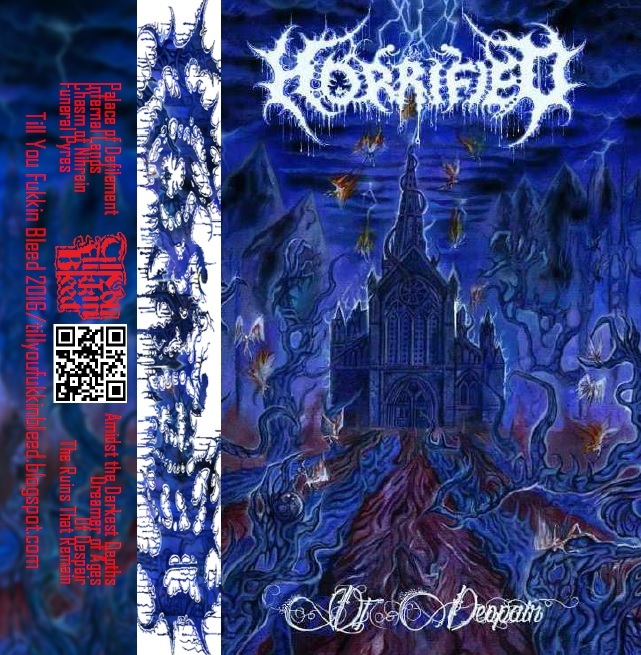 4 tracks, 22 minutes of massive Death Metal. 4 tracks/23 minutes of massive Death Metal, positioned somewhere between "The IVth Crusade" and "The End Complete". Release date: July 20 2015. This is compilation of two eps form these Gothenburg based Death'n'Rollers. 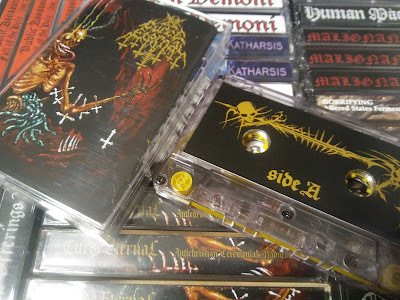 Yes, it's heard they like mid era Entombed in these 6 tunes, so if you are into modern stuff you can skip it with no regret..
2nd demo from these Finnish deviants. 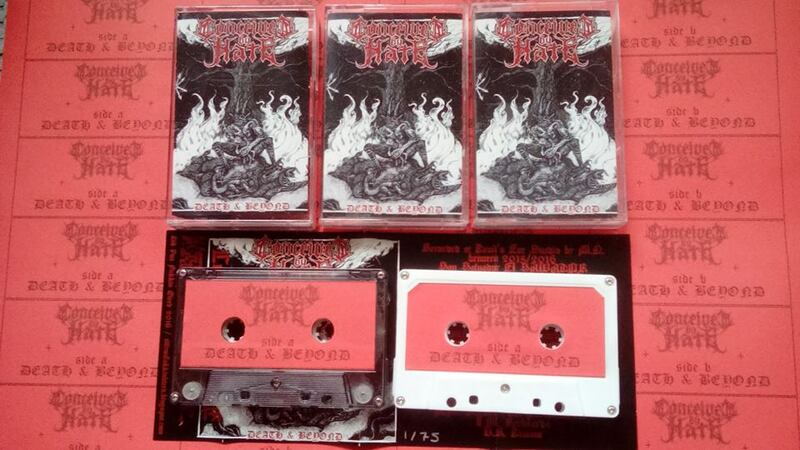 This abuses your senses with 4 tracks/17 minutes of Death Grind. 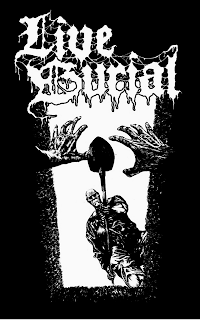 As if Grave (around "Souless" period) recorded "Heartwork". Amazing stuff! Also available tshirt with artwork - hight quality black print on red, natural cotton. green, graphite or yellow Fruit of the Loom. 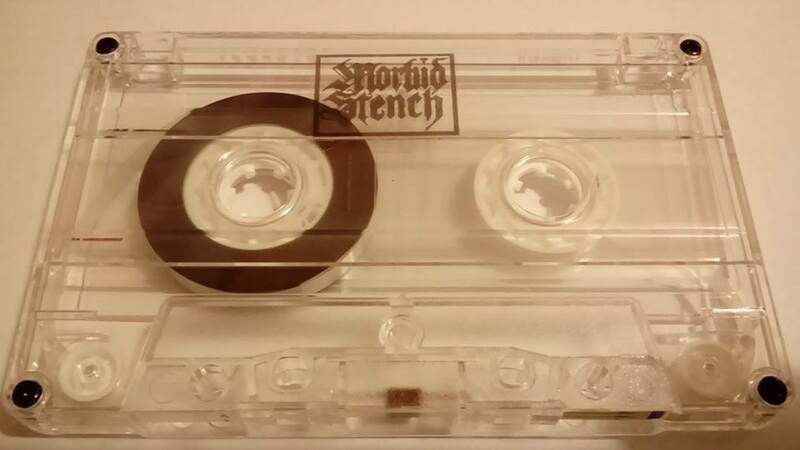 Grab tape here and tshirt there ! 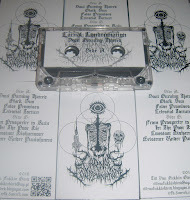 The wait is over - Worms tape is released right today and with it - 4 tracks of Death Metal from below the ground. After reprehensible delay (guilty ones have been beheaded sevenfold) Encoffined demo tape is finally available. 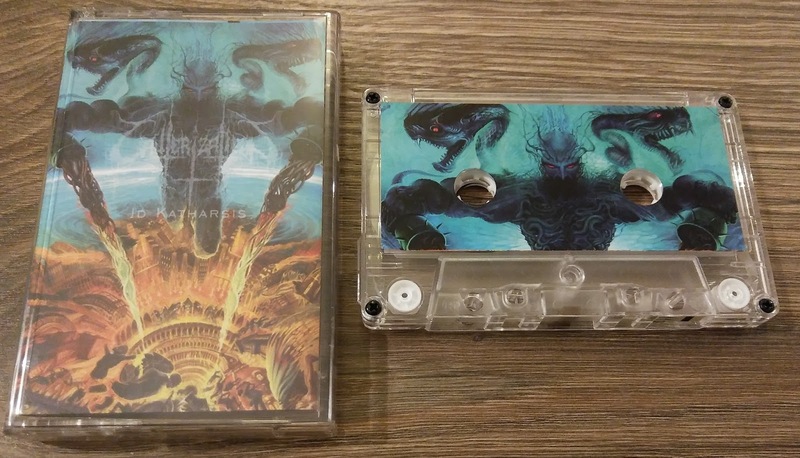 Preorders will be shipped next week with killer bonus to compensate that shameful wait.